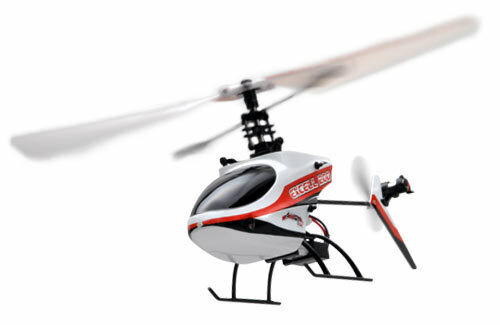 All Products > "A-AX-00500-02 Axion RC Excell 200 2.4Ghz Link&Fly"
Axion RC have taken the single rotor micro helicopter to a new level! 100% factory assembled and supplied complete with 1S Li-Po, USB charger, spare blades, spare tail/fin, ready for use with an Axion FHSS transmitter. Incredibly durable and lightweight, it is rock-steady in the hover so ideal for the newcomer or perfect follow-on from a co-axial model. However, experts won�t find the Excell 200 lacking as the model has a fair turn of speed with plenty of control authority. The onboard 4-in-1 unit features receiver, servos and heading-hold gyro for minimum fuss and maximum control. 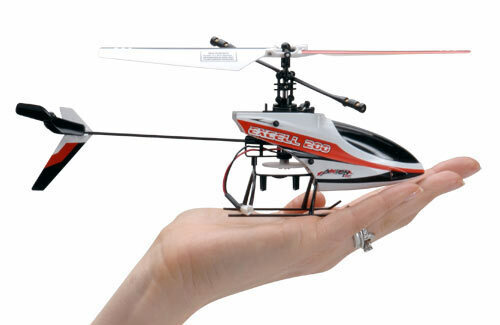 Just pop some AA batteries in the transmitter and you have everything you need to fly!